David Schapira is a Democratic candidate for Superintendent of Public Instruction. At first, David Schapira thought that Republican state legislators didn’t get it. He thought they didn’t realize the damage caused by taking $1.1 billion out of our public school system. But after six years in the state legislature, he realized he was wrong. A mountain of a man at 6-foot-5, he vowed to fight back. Schapira is a Democratic candidate for Superintendent of Public Instruction, which oversees the state of Arizona’s public school system and directs the state’s Department of Education. Schapira, age 37, knows how to get elected. He’s a Tempe city councilman, a former state representative and senator. As the leader of the Senate Democrats, he served on the Education Committee for six years. Importantly, he’s a teacher. He has taught school high school, worked as a school administrator and has been at East Valley Institute of Technology for the last four years. His proudest achievement is the Tempe Free Preschool program for low-income families, launched in April 2017. “I’ve seen education from every perspective it can be seen from,” he says. Contrast that with incumbent Republican Diane Douglas, a financial analyst who has never worked in a school. Immediately after her election, Douglas faced a recall effort by voters because she is not qualified for the position. She is hugely unpopular with voters. Only 15 percent of likely voters have a favorable view of Douglas, and 47 percent have an unfavorable view, according to a July 2017 poll of 500 voters by Republican consultant Chris Baker of Blue Point LLC. She has also spoken at conferences sponsored by the anti-school Americans for Prosperity, funded by the Koch brothers. She is an advocate of school vouchers that would gut public schools, and in April 2017 published a cover up about how much taxpayer money goes to private and religious schools through Arizona’s school-voucher program. A Tea Party right-winger, Douglas issued a press release in Sept. 2016 endorsing Trump for president. Arizona is 50th in median teacher salaries — dead last in the country — according to Expect More Arizona, proving that the anti-school effort is succeeding. 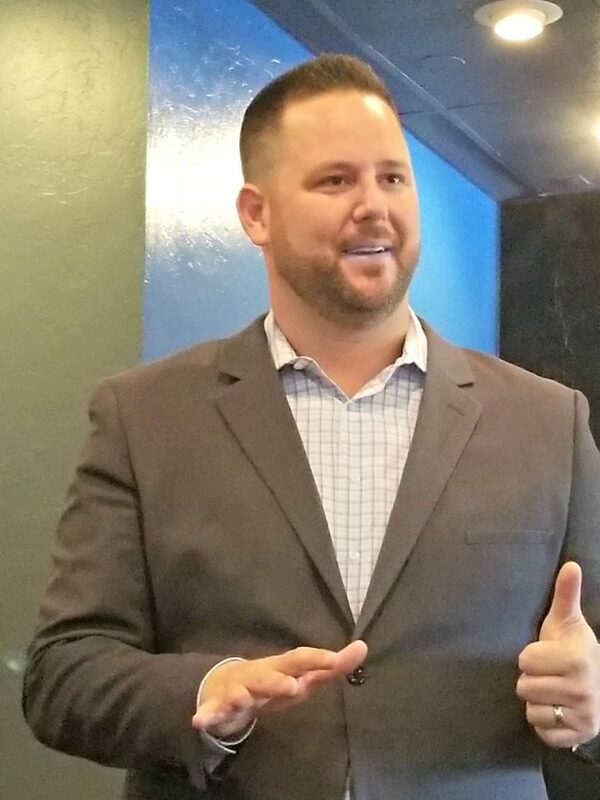 Schapira said he spoke with Andy Biggs when he was is Arizona state house. He said, “Government should not be in the business of education,” Schapira reported. This poisonous viewpoint dominates the Republican majority in the state legislature. “If we don’t take this office back in 2018, our public education system will die,” he says. I doubt there’s room enough to the right of Douglas for a credible primary challenge. GOP isn’t keen on primaries merely to select more electable candidates these days. Any chance Douglas will face a primary challenge? David a really good chance against Douglas but the Republican party could come up with some more qualified right wing wacko, after all this is Arizona.